Our signature minky dot blankets available in 6 colors. 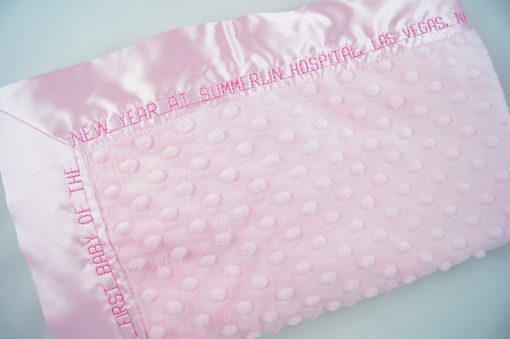 These blankets are made in the USA of luxurious minky dot fabric and trimmed in an extra wide 2.5″ satin border. Pure Luxury for a lifetime of cuddles! 30″ x 35″. 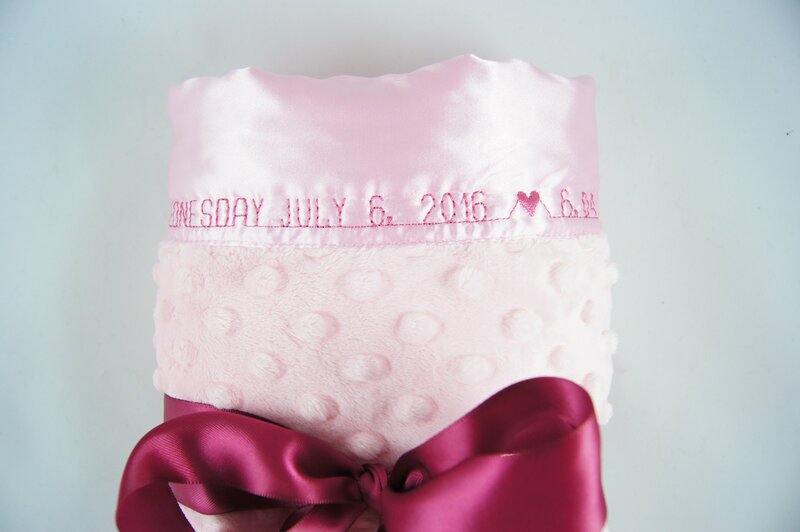 Our minky dot personalized baby blankets go above and beyond the rest. 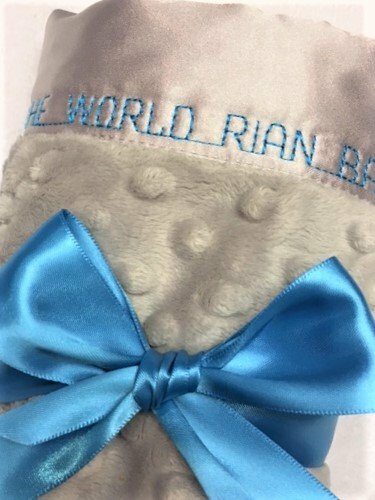 Extra attention has been given to the details in this blanket including extra wide 2.5″ silky soft satin and precision stitching. 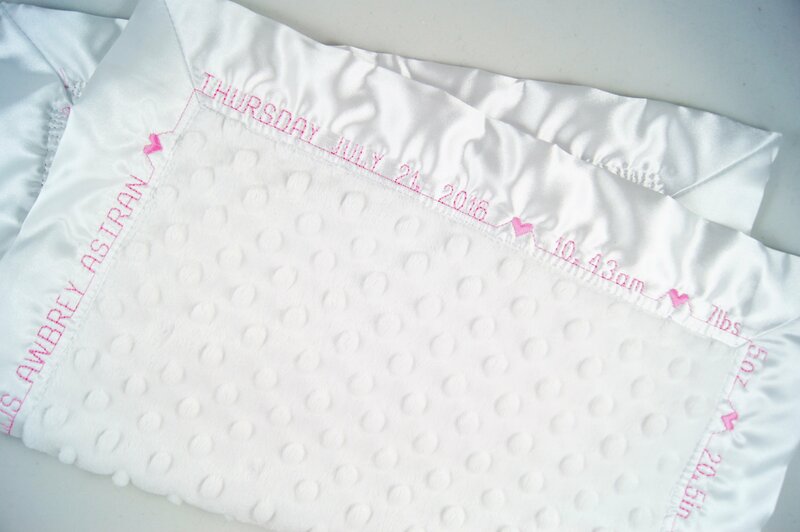 Both sides of are constructed of luxurious, velvety soft minky dot fabric, superior to any other minky dot on the market. Minky dot fabric has raised dots which babies find interesting to touch. Size: 30″ x 35″. 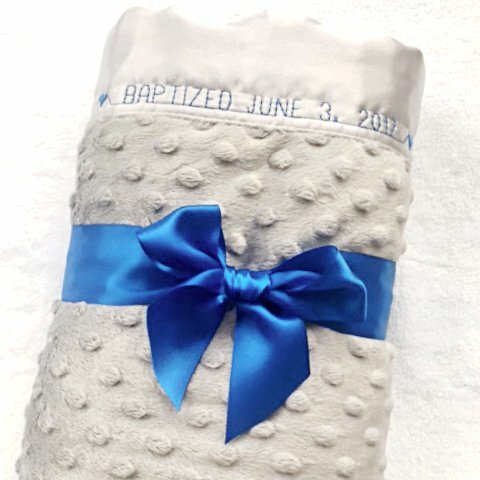 Wording: These personalized baby blankets are made just for your baby and include their name, date of birth, time, weight, length, parents names and siblings names. All information will be embroidered around the blanket on the satin border. Optional additional information for blanket would include grandparents, godparents, pets, etc. All blankets begin with “Welcome to the world”. 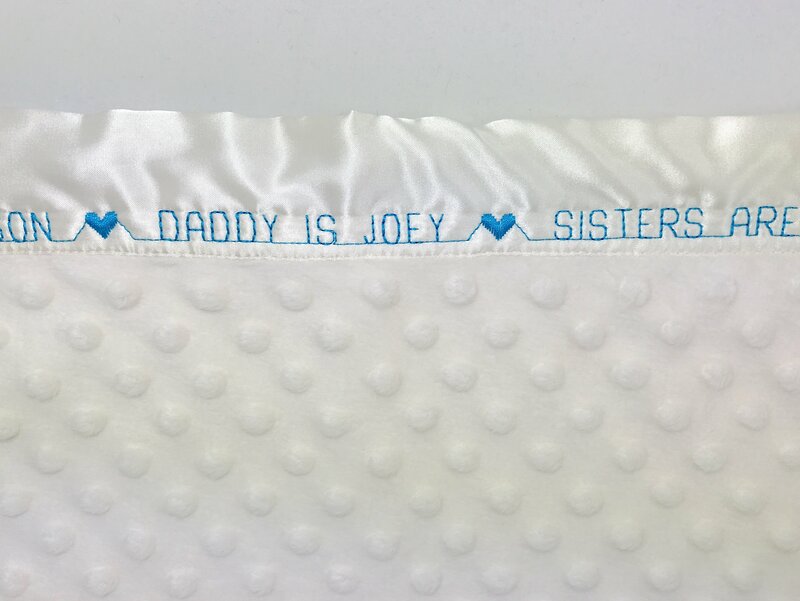 You will have the option to choose God Bless or Sweet Dreams as a continuing phrase to fill the rest of the blanket. If you have a special prayer or blessing that you would like to include on your blanket, please contact us and we can make that happen!.